So as many of you know already KISS begins the start of the so-called End of the Road tour tonight! To drum up some Mega Old Rock Dude Drama Mean Gene has taken on Space Ace about his previous issues and yada yada. 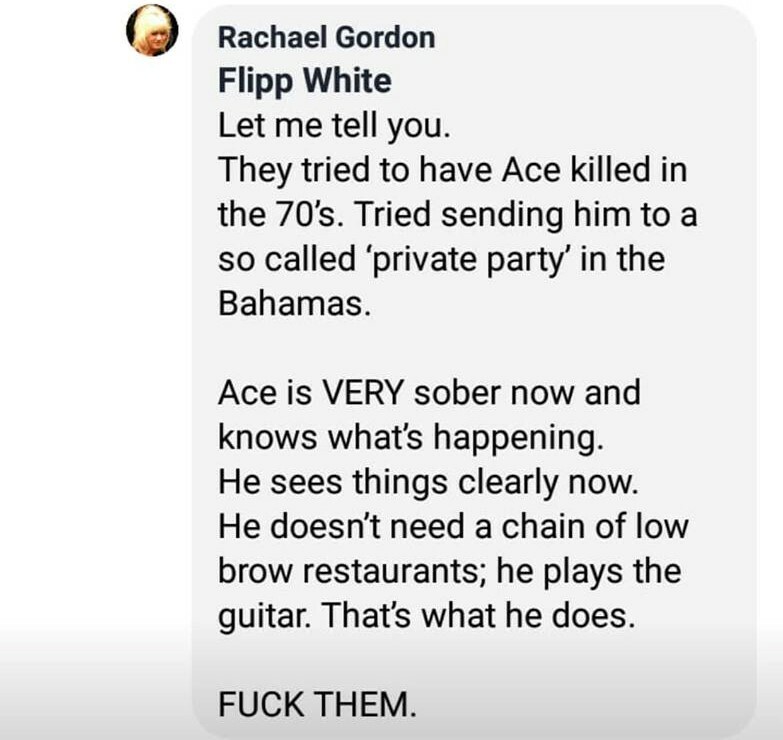 Its nothing new but Mikey has pieced a real decent breakdown of what Gene said and Ace replied with as well. It’s about creating a buzz-selling tickets…. This wacka doodle is from the Crazy Chick School of Kitaen!